Does Eurostar's £35 Single To Amsterdam Ticket Actually Exist? 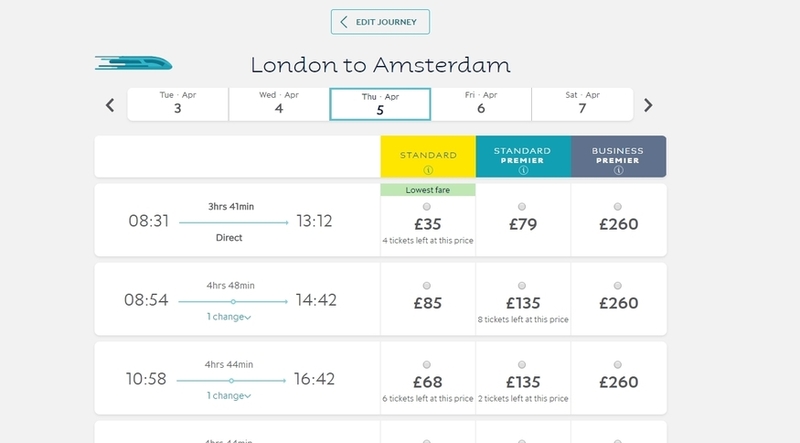 Will Noble Does Eurostar's £35 Single To Amsterdam Ticket Actually Exist? We'll admit it: we were surprised. With Eurostar tickets for direct trains from London to Amsterdam finally on sale, we were skeptical that we'd find one of those much-vaunted £35 singles. So yes, Eurostar does offer singles as cheap as £35. And a simple bit of maths (it only took us, like, three minutes) tells you that this being the case, you should be able to find a return ticket for as little as £70. As yet, you can't book a direct train from Amsterdam to London. And the extra add-on fee for the Thalys train between Amsterdam and Brussels means that there is no such thing as a £35 single from Amsterdam to London. 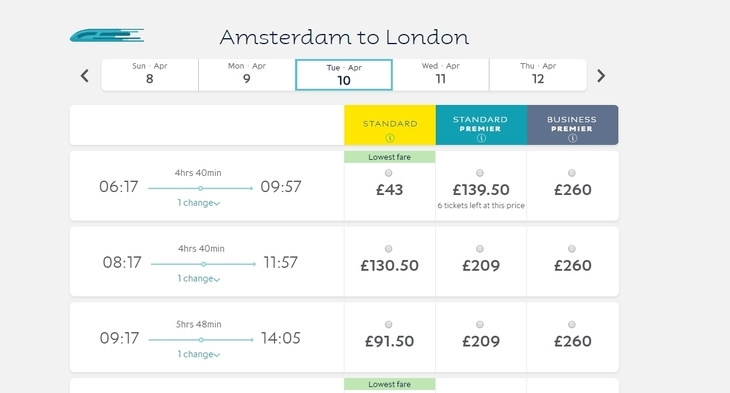 In fact, the cheapest Amsterdam-London fare is currently £43 — making the cheapest return ticket £78. Even then, you may end up doing some serious compromising on dates to find a return at that price. Still. London to Amsterdam direct — woo!